As a family and as a business we are committed to protecting our wonderful surroundings and its environment. We are aware that sustainable development is the most important issue facing our planet and the human race in general in the 21st century and to this end we will strive as a business to ensure we achieve the highest possible environmental quality in terms of services and products used, and all activities undertaken by Wigglesworth House & Cottages, whilst always maintaining our 5* Gold Grading Standard. Sustainable tourism protects the environment we live in, respects local cultures, supports communities, conserves natural resources and minimises pollution. 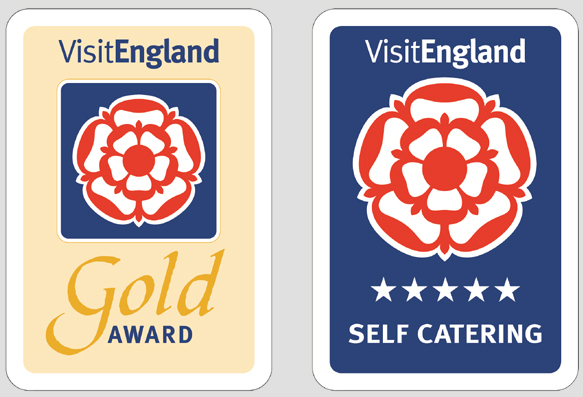 By joining Green Tourism we hope that this will give you a firm indication of our green credentials and sustainable working practice. We are committed to reducing pollution and to the continued improvement of our environmental performance and our impact and carbon footprint on the local countryside. We will heighten the environmental awareness of all our guests and employees through education and information to ensure we are all ready to face the challenges posed by future environmental issues. Supporting local farmers markets, food producers and business. Reducing our energy usage and carbon footprint on the local environment. Actively promoting recycling: Reduce, Reuse, Recycle, Compost. Encouraging Walking and Cycling and the use of Public Transport. Ensuring our impact on the Forest of Bowland, (AONB), the Yorkshire Dales, and the surrounding local areas of natural beauty are always positive. Constantly looking at innovative methods of improving our environmental awareness and that of our employees and guests. Always complying with requirements of legislation and approved codes of practice. We have recently added an EV ( Electrical Charging ) point for the complimentary use of our guests. Eggs supplied by our very happy hens. Enjoy them!